Jon Fargo has been an innovative and inspiring entrepreneur and educator for over 30 years. As Jon the Muse, he offers an array of Services, Classes, and Events that are designed to bring out the best and to inspire - from the fiber of one's carpets to the fiber of one's soul. Jon Fargo has been an innovative and inspiring entrepreneur and educator for over 30 years. He received his M.S. in Education in 1988. 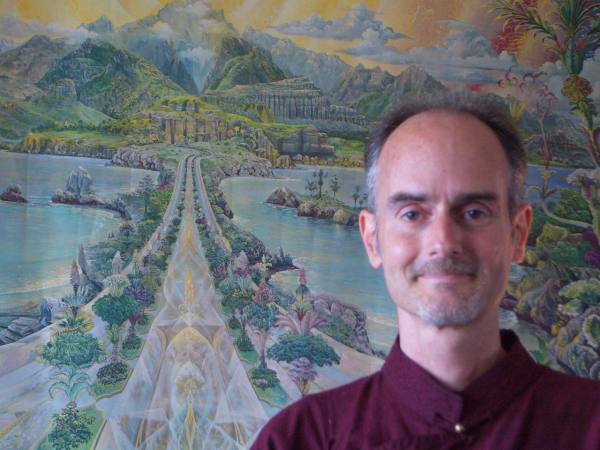 He is a noteworthy member of Journey to the Heart's first certified Akashic Records Instructors, graduating from the organization's first Intensive, held in November of 2004 in Eleuthra, Bahamas. He became certified as both an Akashic Records Level II Instructor and Trance Dance facilitator 3 years after that. He has known Ernesto Ortiz, founder of Journey to the Heart, since 1996 and has collaborated extensively with him in various transformative, heart-centered workshops and enterprises. As Jon The Muse, Jon offers an array of Services, Classes, and Events that are designed to bring out the best and to inspire - from the fiber of one's carpets to the fiber of one's soul. Jon's Services include Akashic Records Consulting (certified 2004), Creativity Coaching (certified Kaizen Muse Creativity Coach, 2004), and eco-friendly carpet cleaning (The Carpet Muse, since 2003). He is also Chairman of ASHA, a recently launched non-profit offering services in alternative health care and personal anthesis (blossoming). Jon's Classes include Akashic Records Levels I and II, MUSE Creativity Playshops, and Mandala Life Design(TM). He also has extensive training, teaching, and general experience in elementary education, yoga, educational kinesiology (brain gym), and accelerated learning, which he often incorporates into his classes and coaching. 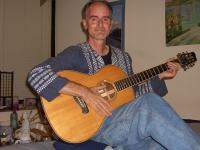 Jon's Events include Trance Dance, Co-Creativity Playshop, and the Freedom Road Show (he is a singer-songwriter who plays guitar and sings in The Freedom Road Band). Jon resides in Emeryville, CA, providing these many offerings in the San Francisco Bay Area, as well as Minneapolis and Chicago (where his 2 grown sons and other family members reside), South Florida, and New York/New Jersey. The overarching motto of his work, "The Best is Yet to be Created" is applicable to his own unleashing of potential and is especially applicable to his impact on the personal growth and creative evolution of all of his students and clients.